Officers of the Vacaville Police Department (VPD) have reported that a serious motor vehicle collision took place in Vacaville on Sunday, January 13, 2019. The car accident reportedly involved one vehicle and took place in a commercial area on the south side of the city. The collision left one person with serious injuries and tragically cost another their life. The latest available reports indicated that the surviving vehicle occupant was in a local hospital and that medics have listed them as in critical condition. Neither the identity of the fatally injured individual nor the crash survivor have been publicly released by local officials. VPD reports that their officers are actively looking into possible causes of this tragic collision. Police reports indicate that the collision happened at about 7:30 p.m. close to the intersection of Alamo and Tulare Drives. Officers say that they discovered an overturned vehicle in the roadway. Upon inspection, officers found two injured vehicle occupants and immediately called for emergency medical assistance. VPD stated that, despite life-saving efforts from accident responders, one of the injured individuals tragically lost their life. It was not reported whether or not this individual passed away at the scene of the accident or in the care of a hospital. The other injured person was immediately rushed to a local trauma center for immediate treatment. Alamo Drive was closed to traffic between Raleigh and Farmington Drives while VPD officers surveyed the scene of the collision. However, VPD investigators have not reported what particular factors they suspect to have been a part of this accident. Single-vehicle accidents are common and can happen for a number of reasons. 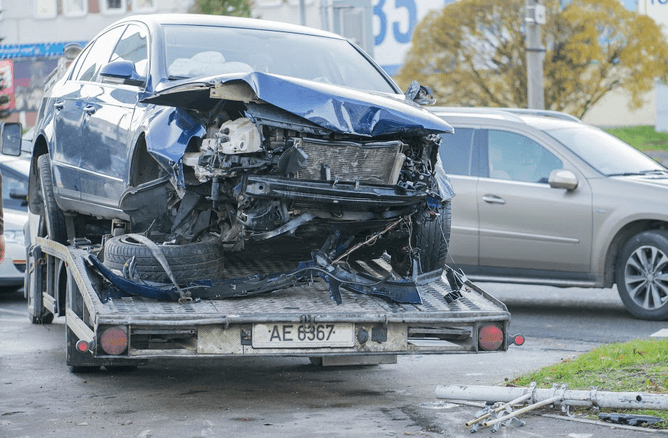 Factors frequently involved in single-vehicle crashes include roadway defects, medical issues, unsafe driving, faulty vehicle equipment, and more. After learning that a person you love has passed away suddenly, the grief and shock from that loss can be intense, confusing, and overwhelming. Many people who are faced with this grave news feel devastated and can have a hard time dealing with the demands of daily life while trying to process their emotions. Through my many years of working with the families of people killed in auto accidents, I understand that these feelings are natural and taking time to heal emotionally is a significant part of recovering after such a traumatic event. However, it is essential not to delay calling a wrongful death attorney in Vacaville. Responsible parties are usually quick to act to minimize their liability for the incident. Moreover, the sooner you have a lawyer to handle your case for you, the better they can ensure that you are able to claim the compensation you deserve for your loved one’s untimely death. I’m Ed Smith, a Vacaville wrongful death lawyer. The loss of a loved one is devastating, especially when that loss is caused by wrongful death. If a motor vehicle accident has claimed the life of someone you love, speak with me on the phone to get free, friendly advice. I can be reached at (707) 564-1900 or (800) 404-5400.